The kittens are not in the play pen anymore, they are moving freely in their room. They are still very young, real babies. Yesterday we put a small litter box with paper pellets in the room for the potty training, but they did not understand what it is for yet. They started eating raw minced beef yesterday and almost all of them like it, but only one figured out how to eat it himself, the others eat from my hand. They also drink water from the bowl sometimes. They are still so tiny and young, but they learn fast. They are very social, whenever we come to them, if they are awake and not nursing, they greet us loudly, and run like a herd of small buffalos towards us. 🙂 Their weight is great, all are pretty even and developing well. Here are their portrait pictures, taken on their 31st day. 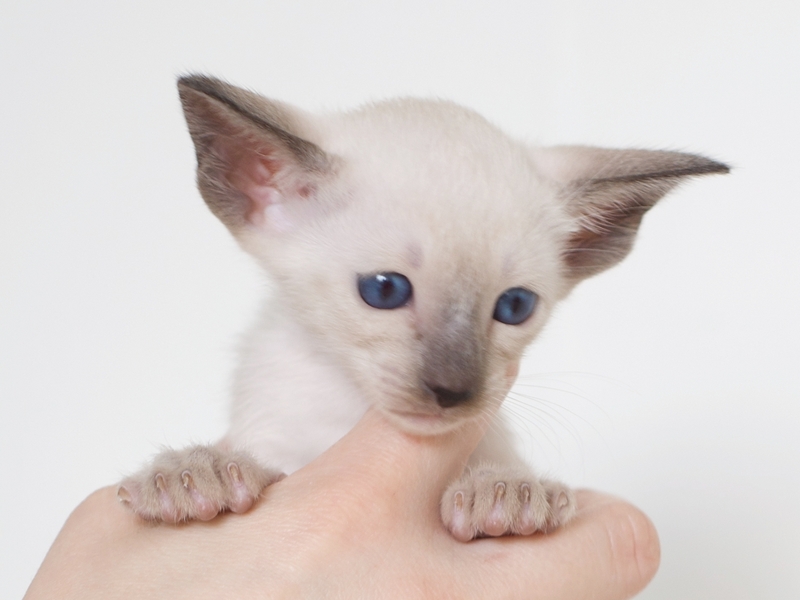 We are still not sure if the dark girl is blue or seal point. Her nose looks blue, but her ears look seal point. Seal and blue point kittens are similar when small, and in our previous litters we had both, so we could determine who is who easier than now. Please notice: we marked two Foreign White boys’ claws with red and blue nail polish so that we can distinguish them when they are small. So, I refer to the FW boys as white/white (no nail polish), white/red and white/blue for now. They are just so beautiful !! You must have a lot of fun [and hard work of course!] with your little kittens !! Have you given any of them names yet ?? Thank you! They are wonderful. So sweet, they give us so much joy. About the names – I thought to name the dark girl (SE*La Voix) Catherine, after a character from Wuthering Heights and call her Cathy. And the white girl will probably be named Constance, after a character from The Avignon Quintet. But I do not know about the boys yet… I have to get to know them better and find the names that start on C that I like. 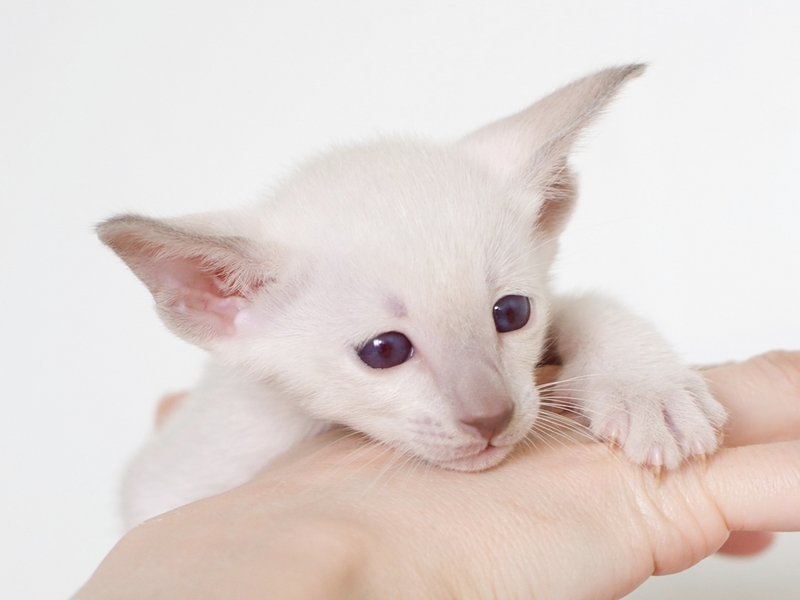 They are all so adorable, but I especially love the lilac point boy…such a sweet little face! The lilac boy has such a lovely personality, he really is special. He reminds us of Alfred from the first litter, so charming in a very sweet way.